The Treasure Chest Thrift Store is proud to announce that we are providing Estate Liquidation Sales! We offer very competitive rates, as each Estate Sale has its own unique needs. We have years of knowledge in reselling antiques and all types of household items. We have dealers on hand for any assistance or questions and a team that will work to maximize the sales from each estate. Best of all, our portion of the proceeds benefits the Damien Center’s programs and the seller receives a tax donation receipt for items that are not sold. 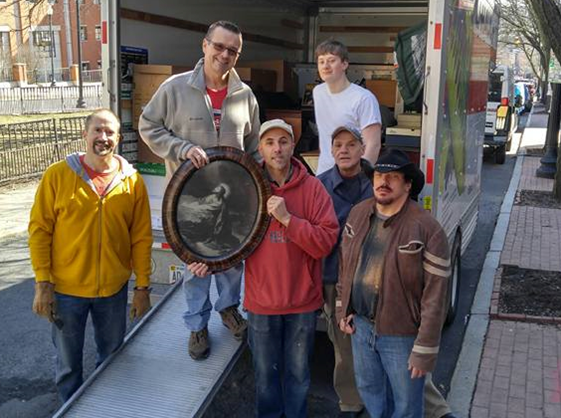 Treasure Chest Manager, Walter Mastan, and volunteers at our first estate sale.